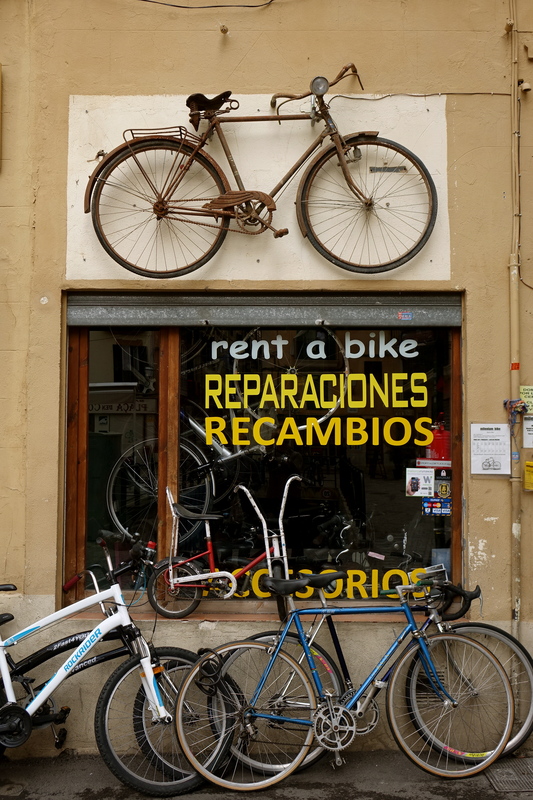 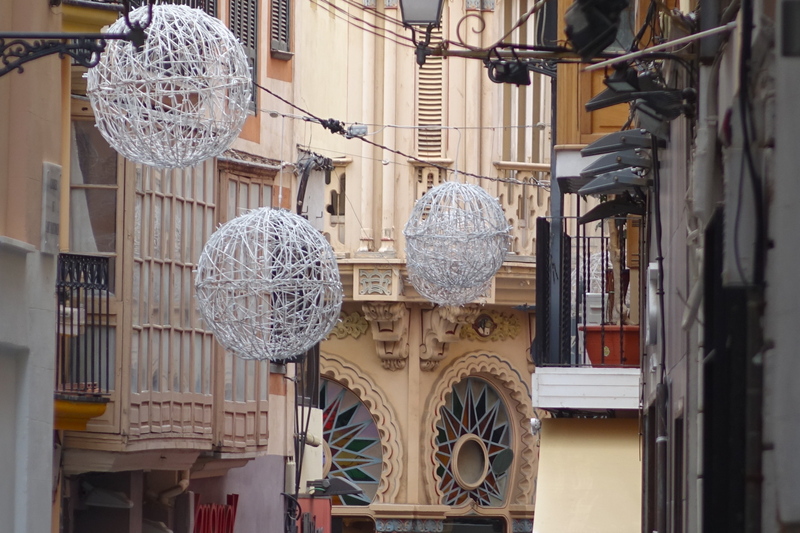 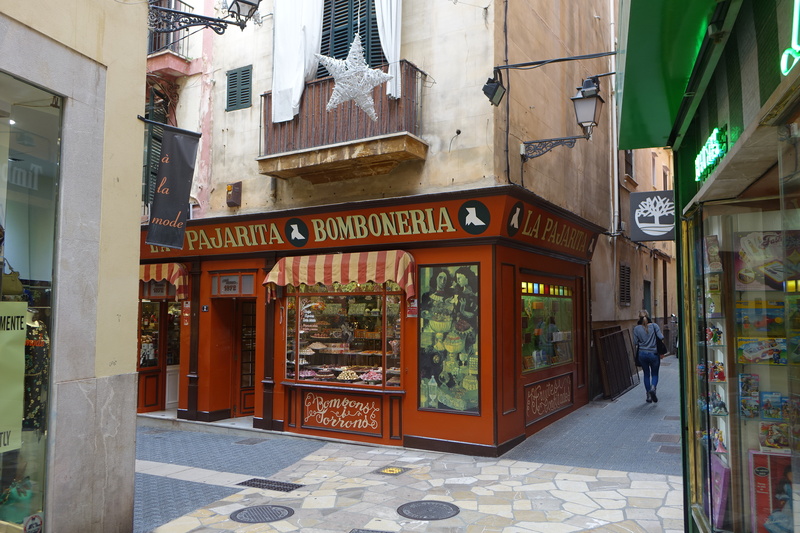 Of the many characteristics of Palma de Mallorca which make the city such a charming, vivacious and engaging place to discover, one of my favourites has to be its proliferation of privately owned boutique shops. 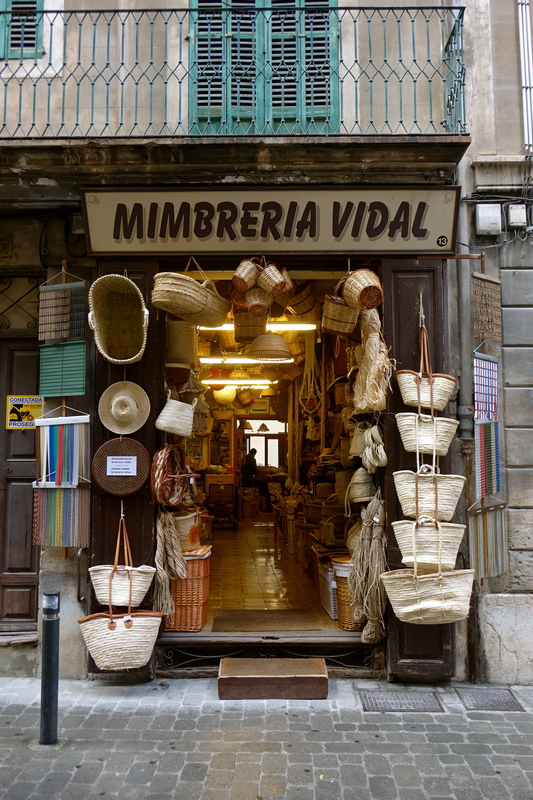 From shops crammed with local produce, to fashion boutiques selling unknown designers, sweet shops full of jewel like offerings and basket weavers with their rafts full of artisan hand-woven products, Palma is a city which promotes the hand made and locally created, as well as supporting local business men and women in setting up their own shops. 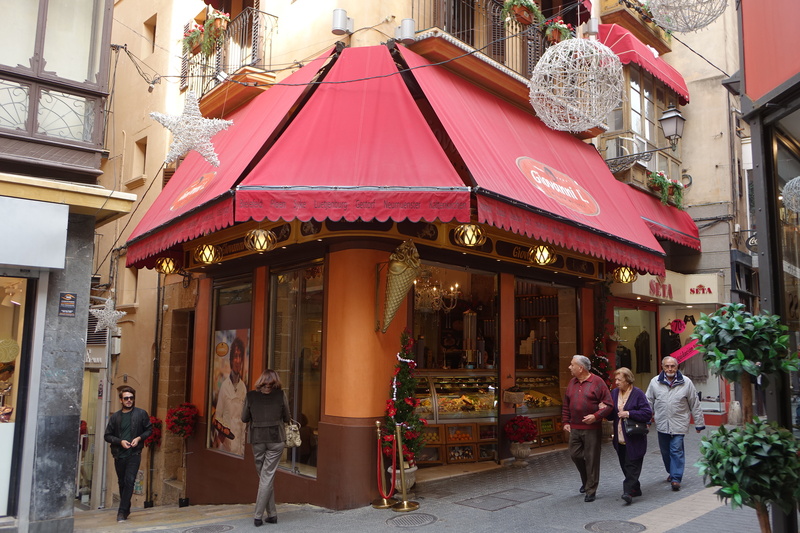 Unlike the UK, whose high streets have become such a depressing spectacle of widespread commercialisation, with privately owned shops being priced out of the high street to be replaced by the same monotony of big chains which appear in every town and city across the country, Palma’s streets are full of one-off unique boutiques. 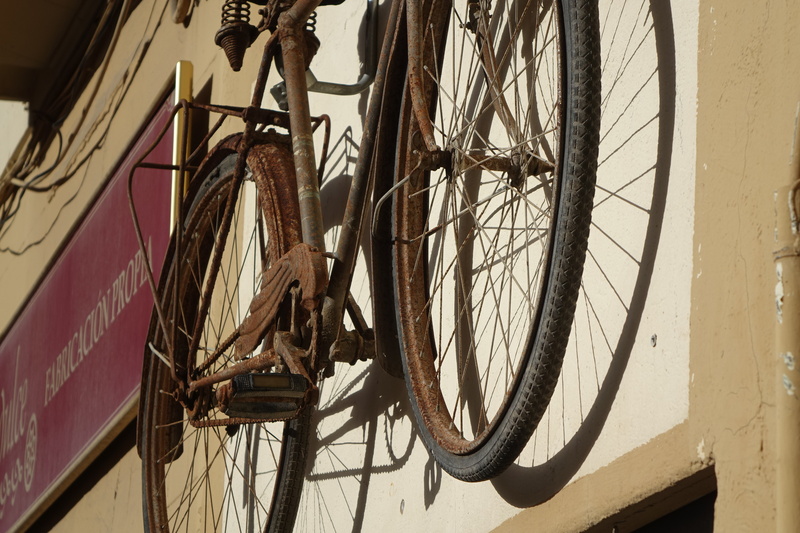 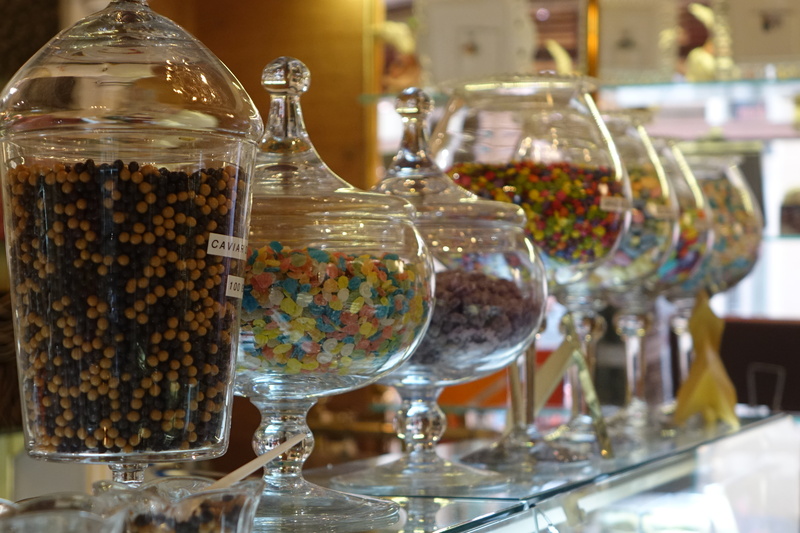 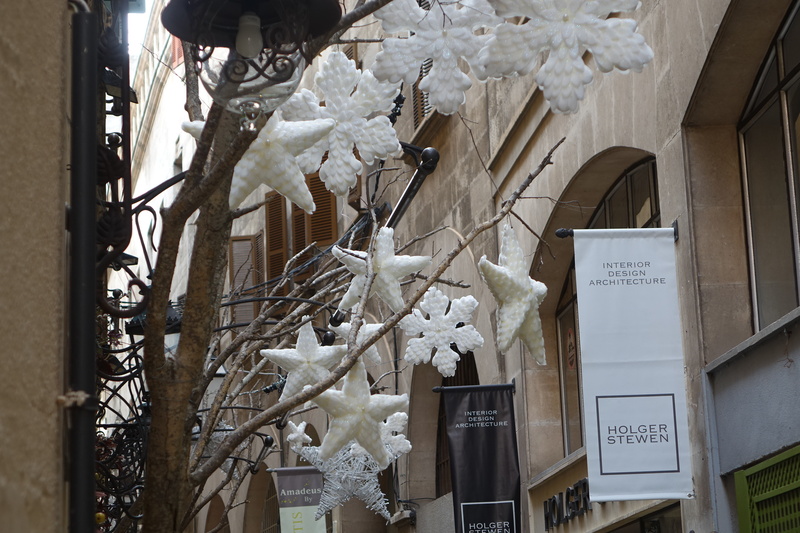 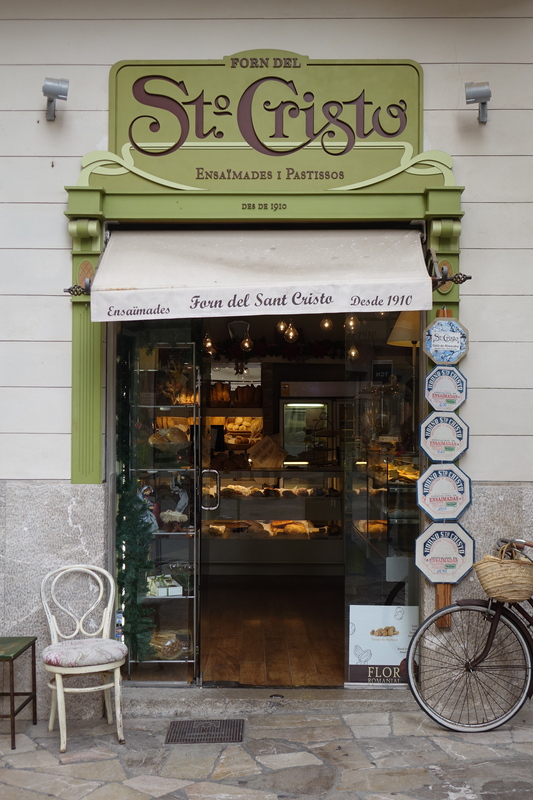 This makes a stroll through Palma, or a quest for that perfect distinctive gift an enthralling experience – there is so much to choose from in shops each individually different from their neighbour. 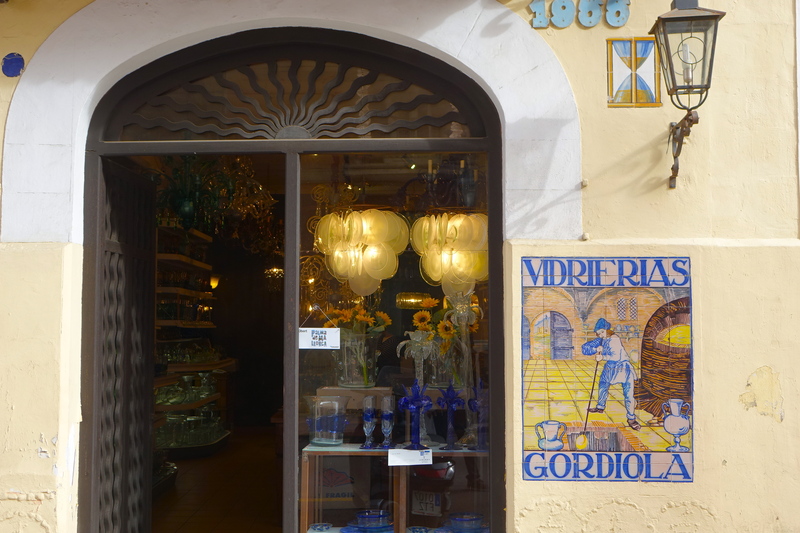 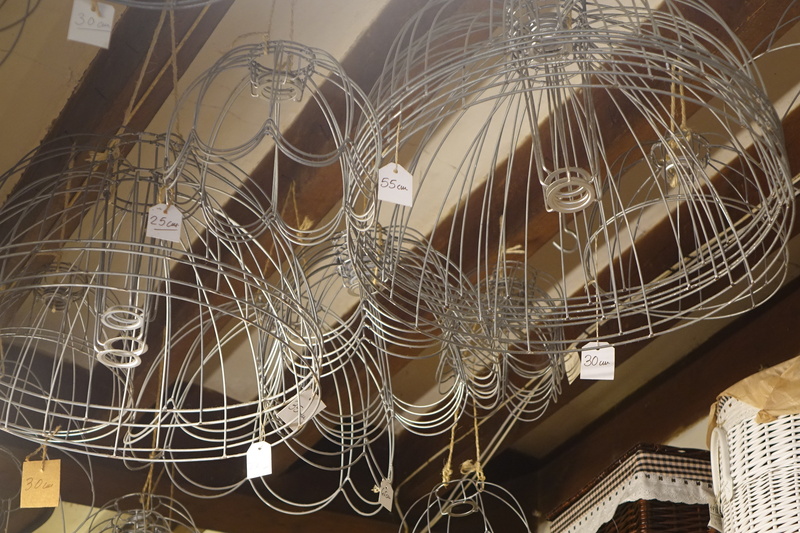 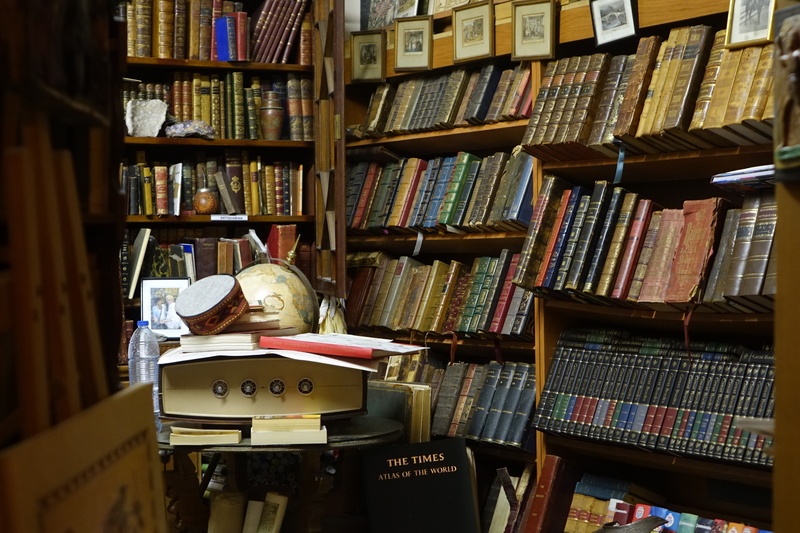 As is so often the case with privately owned boutiques, these shops are a pleasure on the eye, as shopkeepers vie with one another to dress their windows, shop walls, ceilings and floors with the most plentiful and creative offerings. 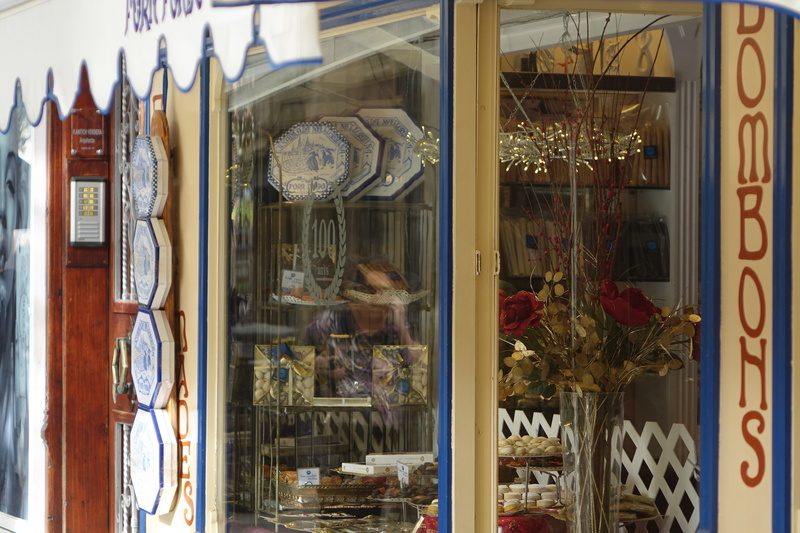 So many of the shops have stood the test of time, and as a result can be found within the original distinctive art nouveau casing created when the shops were first conceived. 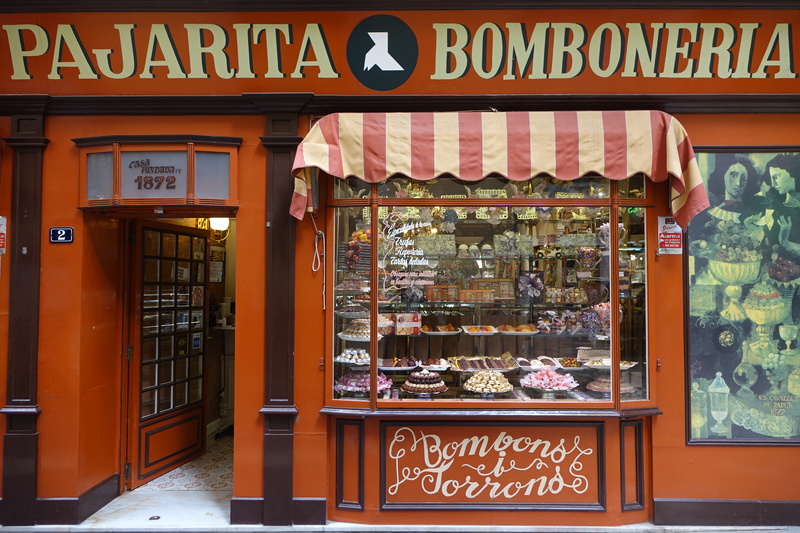 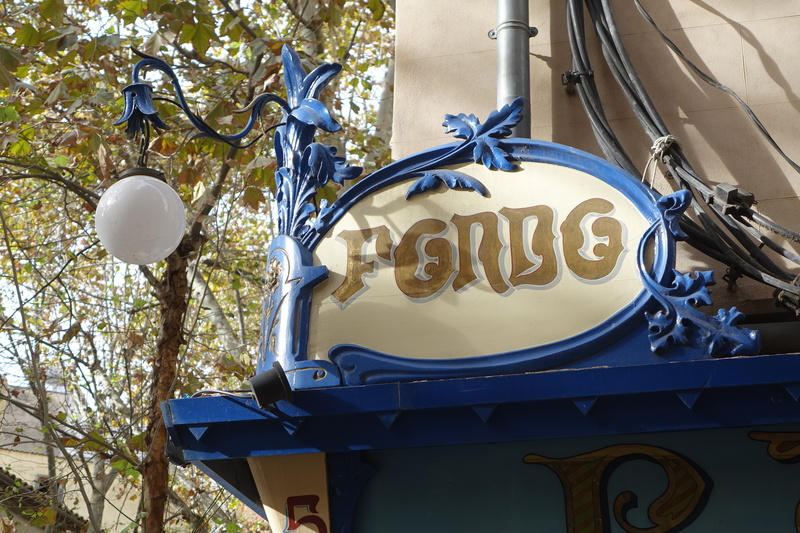 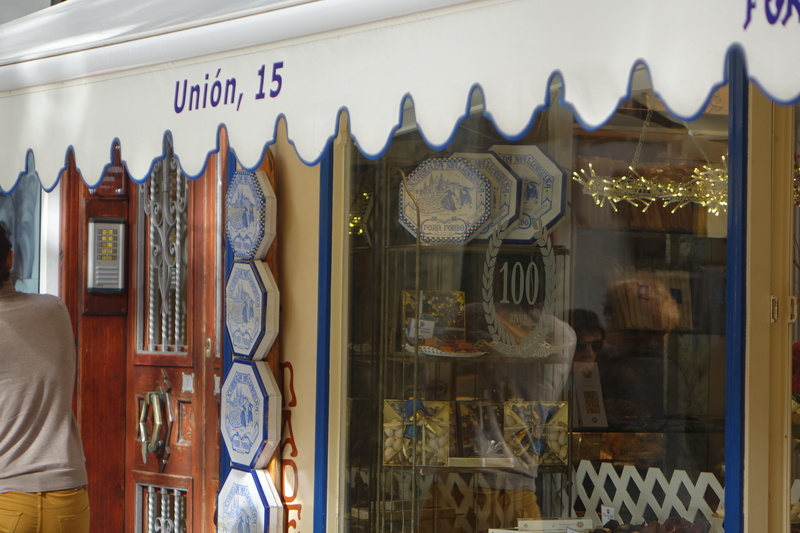 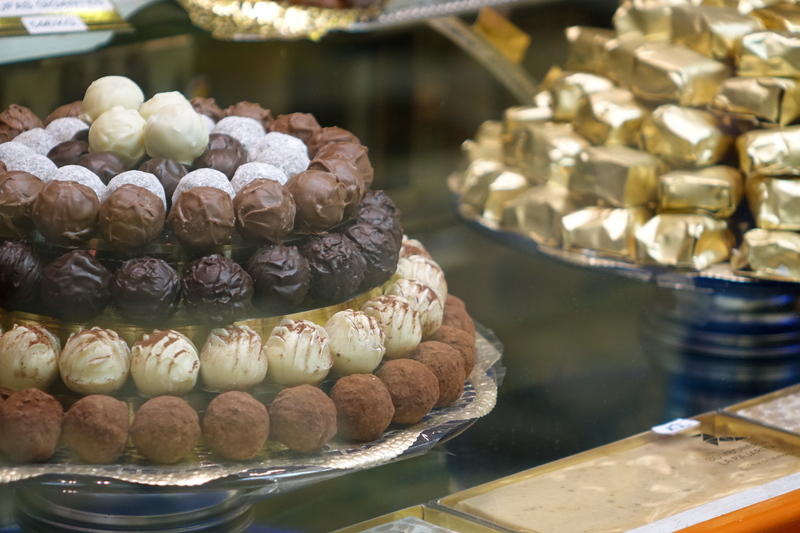 Take the stunning Forn Fondo pasteleria on the Carrer de la Unio for example: this enticing sweet shop can be found enveloped in a blue and gold decorative modernista shop front which is itself good enough to eat, and straight out of the golden era of late 19th century street scenes. 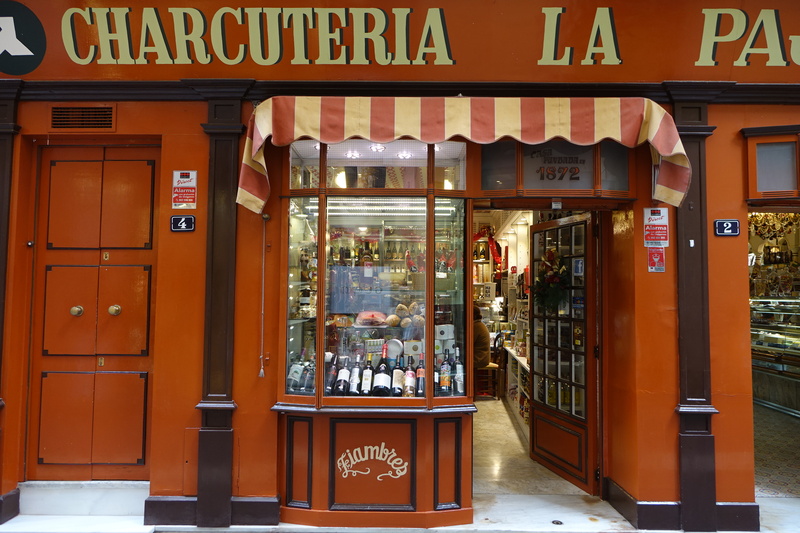 Then there’s the La Pajarita Bomboneria and Charcuteria on the Carrer de Sant Nicolau whose red panelled frontage complete with stripy red and white awnings looks like something straight out of Dickensian London. 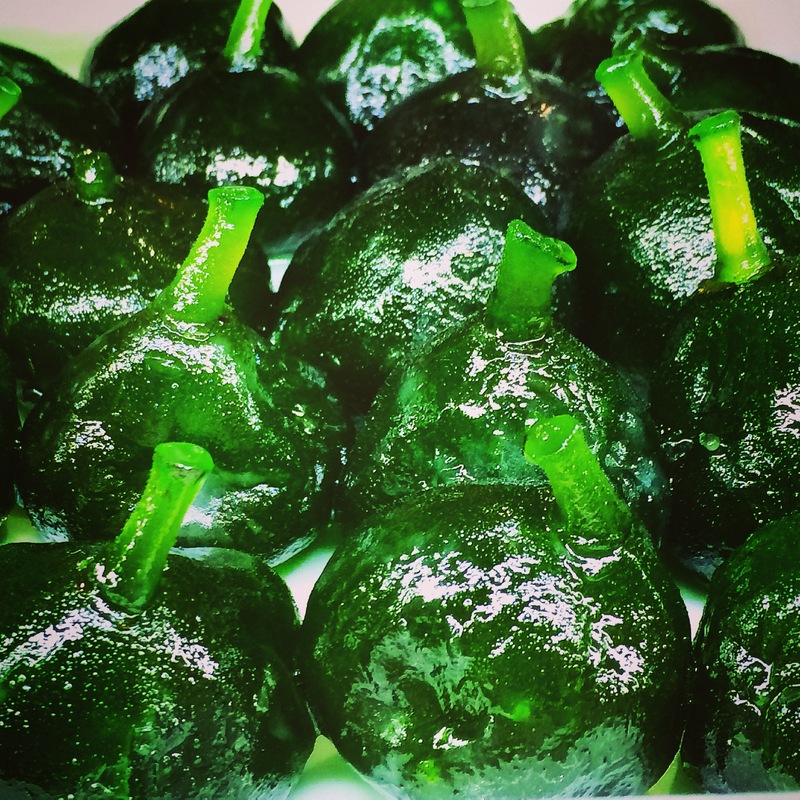 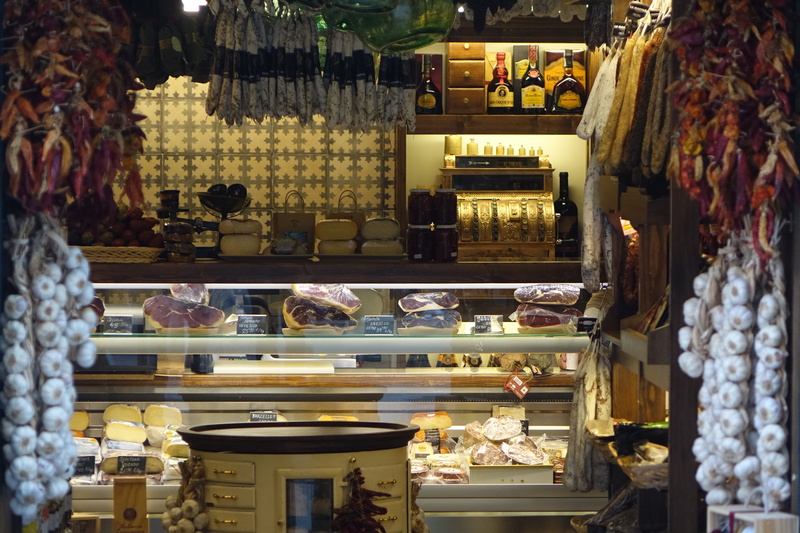 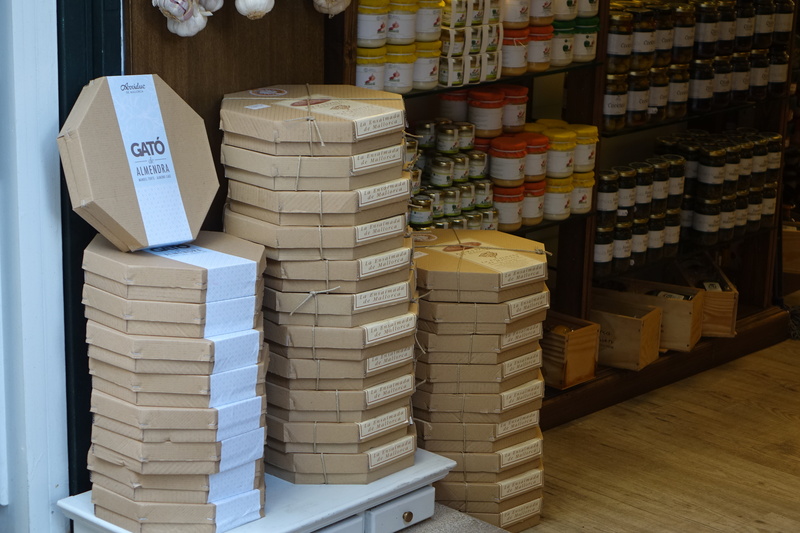 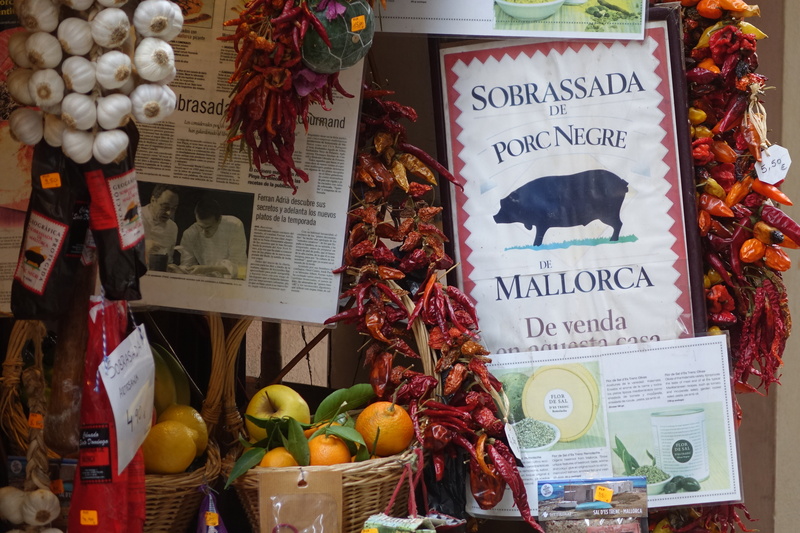 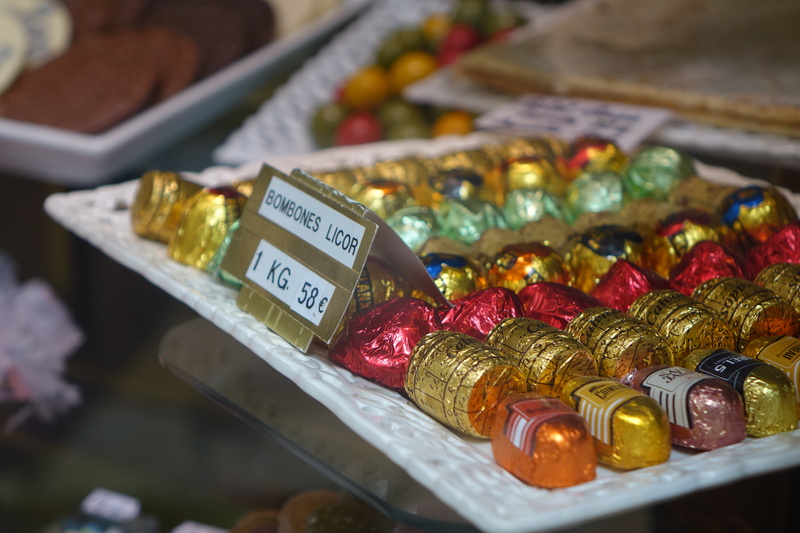 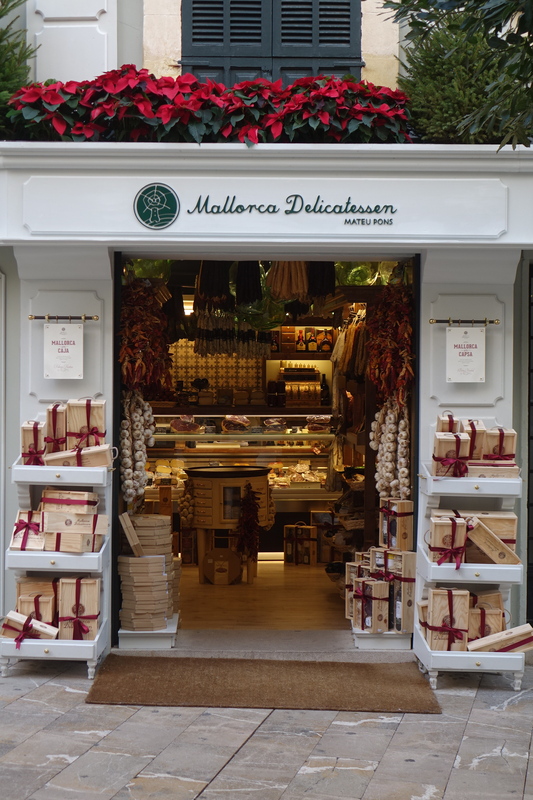 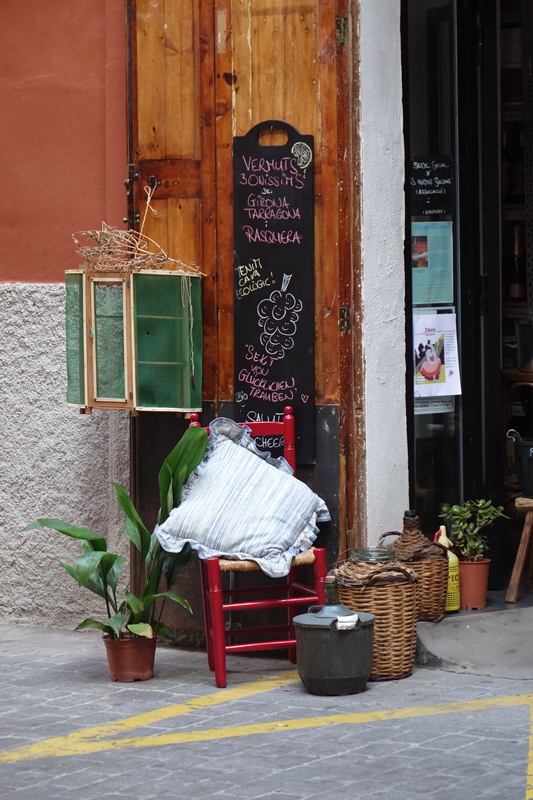 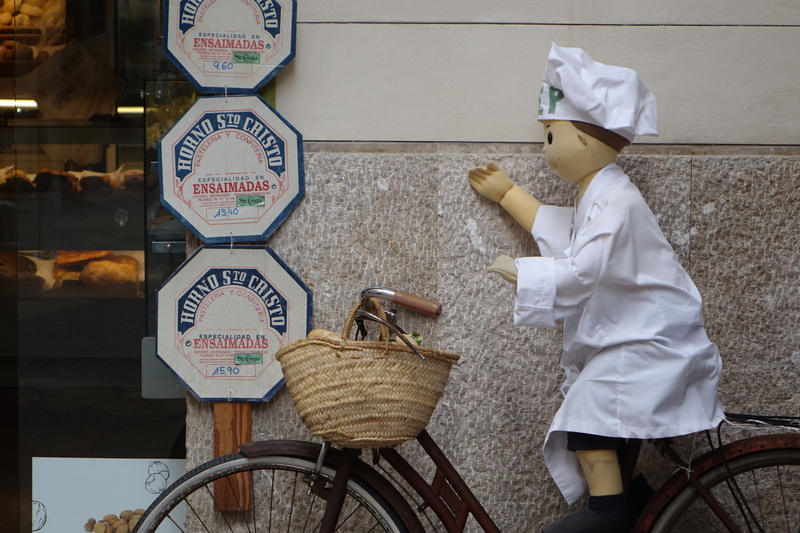 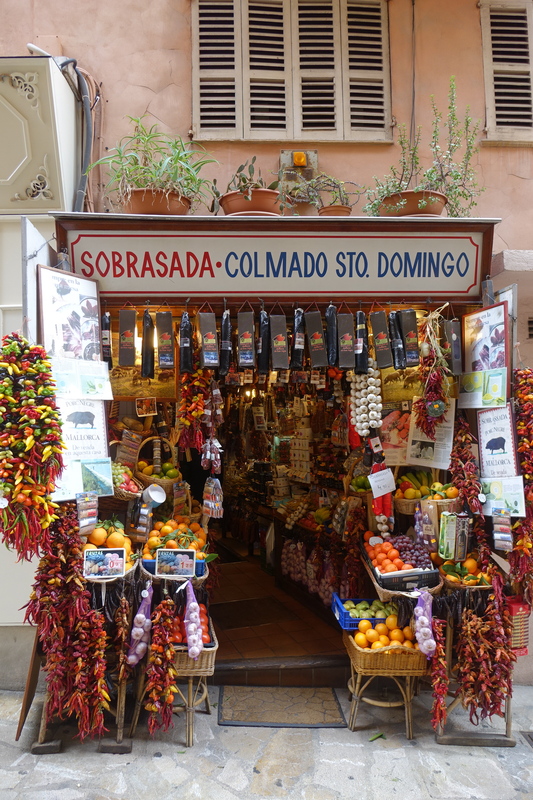 Asides from the sweets, some of Palma’s most visually enticing boutiques are those selling the local savoury specialities, from sabrossada sausage (which is a little like chorizo but softer), to local goats cheeses and the famous Mallorca salt. 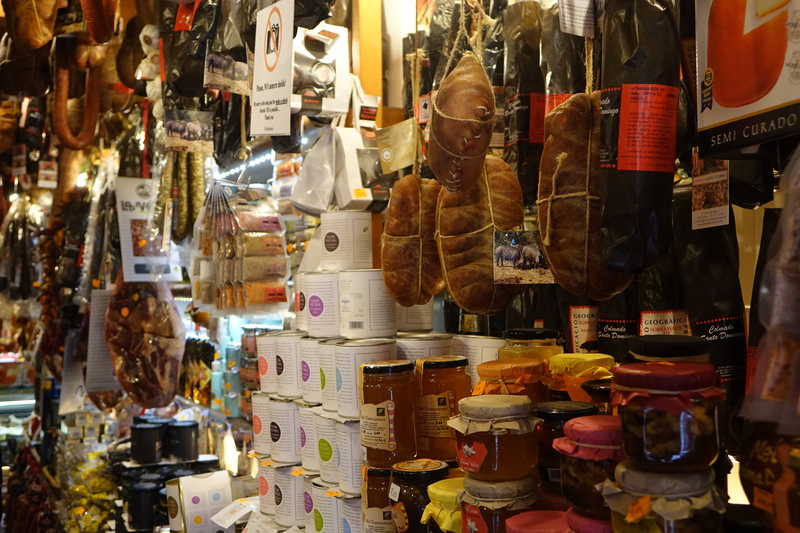 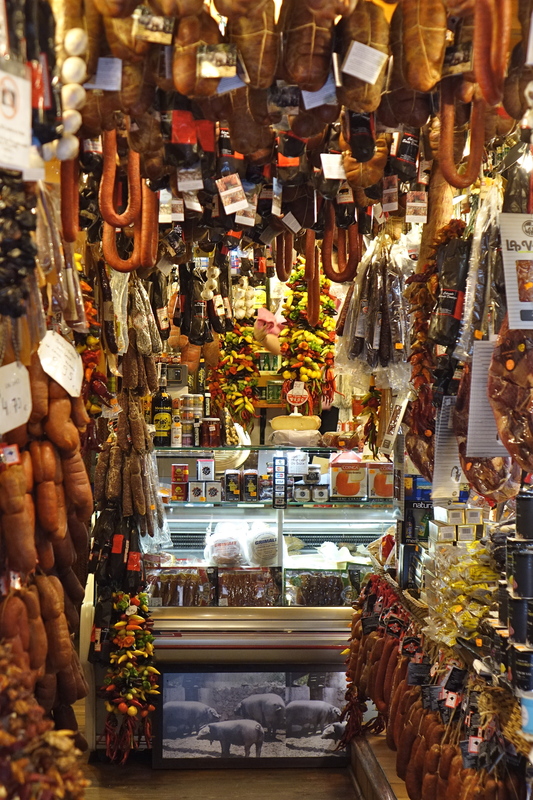 These shops are a treat for tourists, who cannot help but gaze in wonder at Aladdin’s caves full of local produce, with sausages of every shape and size hanging from the ceiling, and shelves loaded from floor to ceiling with local wines, olive oils, jams, salts and pickles. 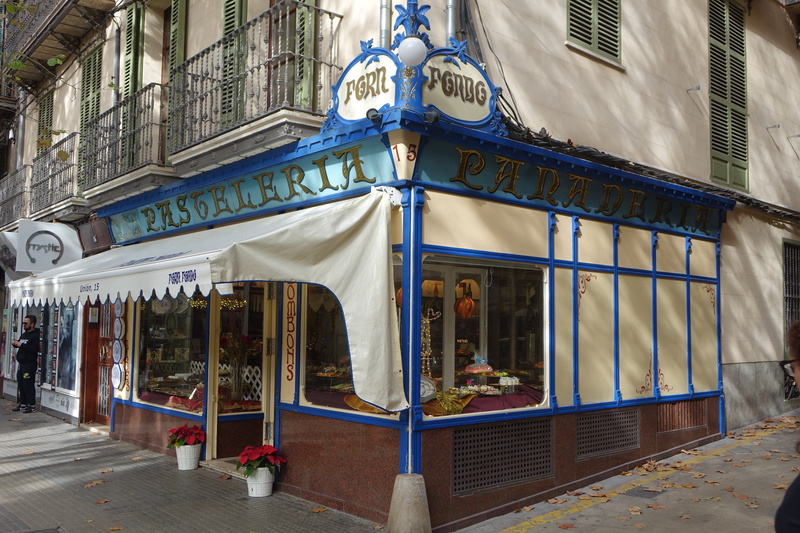 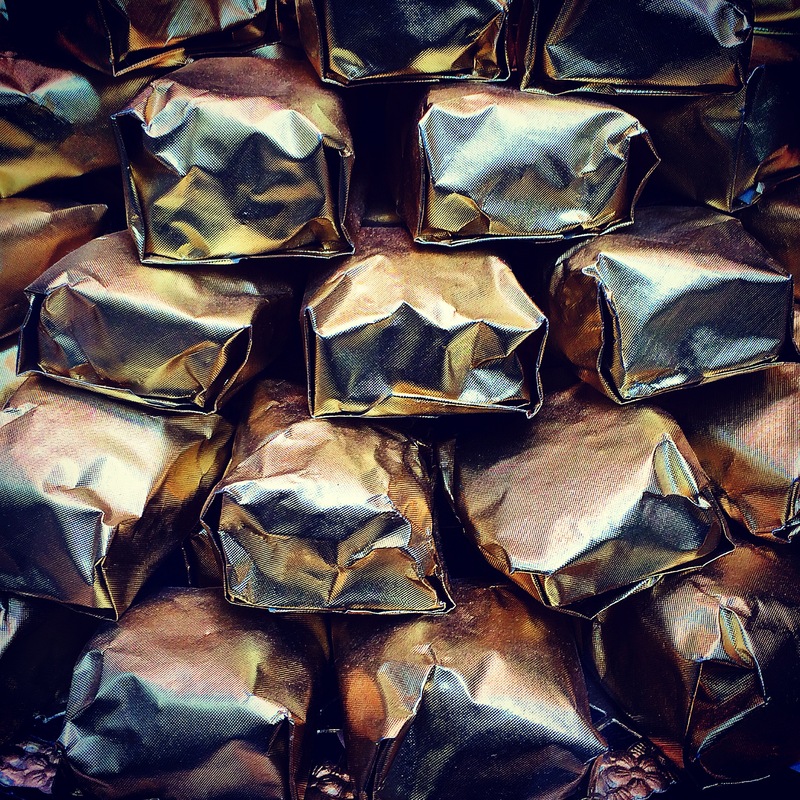 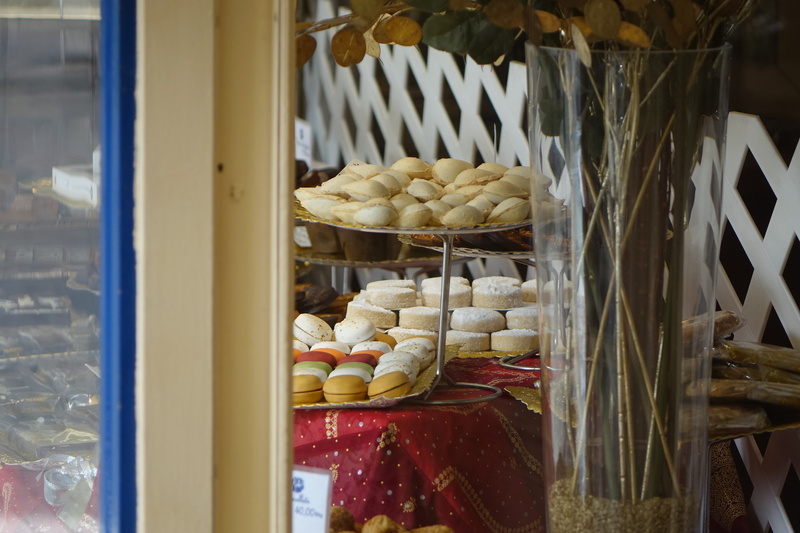 You’ll also find a good many ensaïmadas, the spiralled local pastry sold in what look like hat boxes all over town. 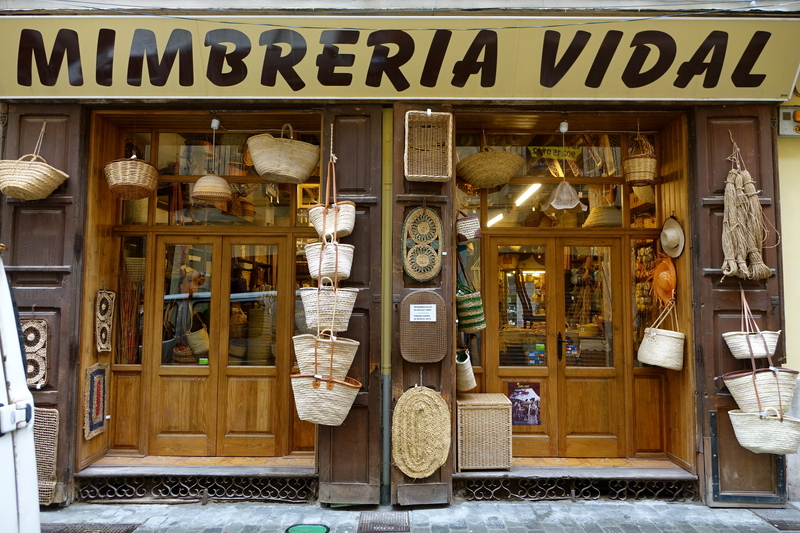 Finally, Palma is evidentially an artistic and creative hub, and asides from the significant collection of galleries, fashion boutqiues and interior design emporiums, you will also find a number of artisan shops where crafts men and women live and work, selling their handmade wares expertly crafted with years of experience behind them. 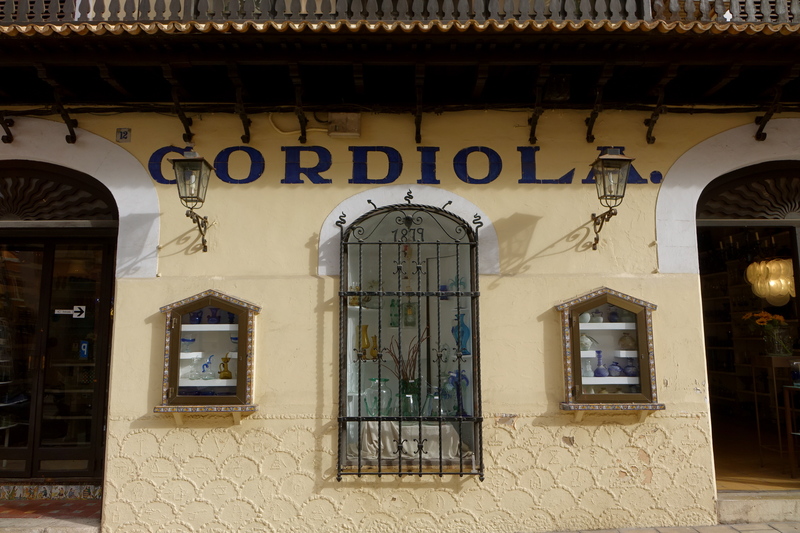 Gordiola glassworks for example is a kaledascopic heaven of multicoloured glass, all blown by hand and made at the site for generations. 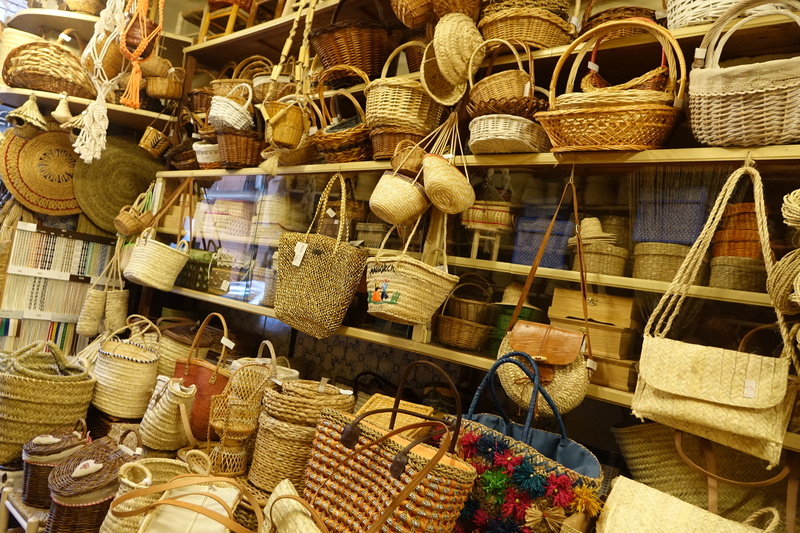 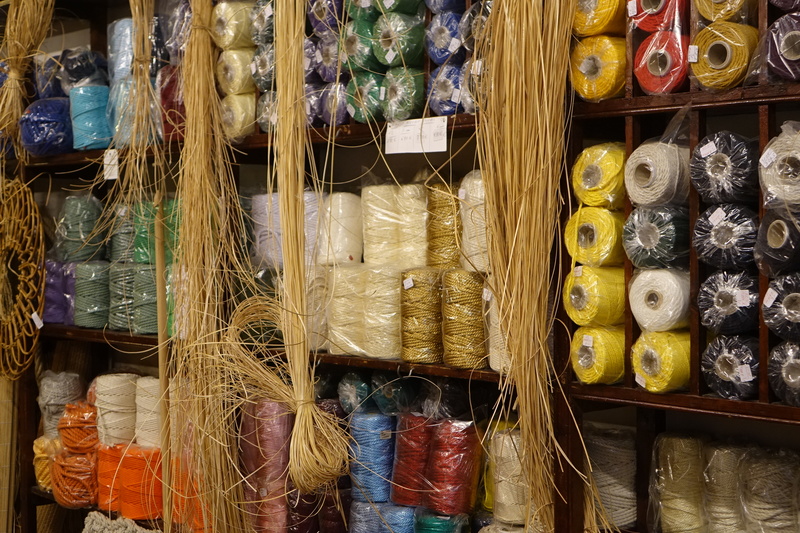 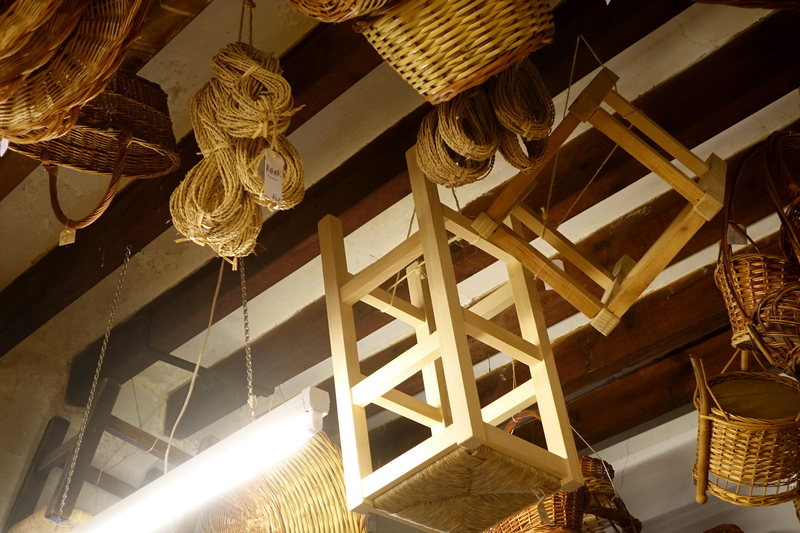 Then there’s the wonderland of weave that is the Mimbreria Vidal, a father and son basket shop which is one of the last remaining shops on the island to ply this traditional Mallorquin trade, and where basket and weaved items of every shape and size, from chairs to laundry baskets are made to order. 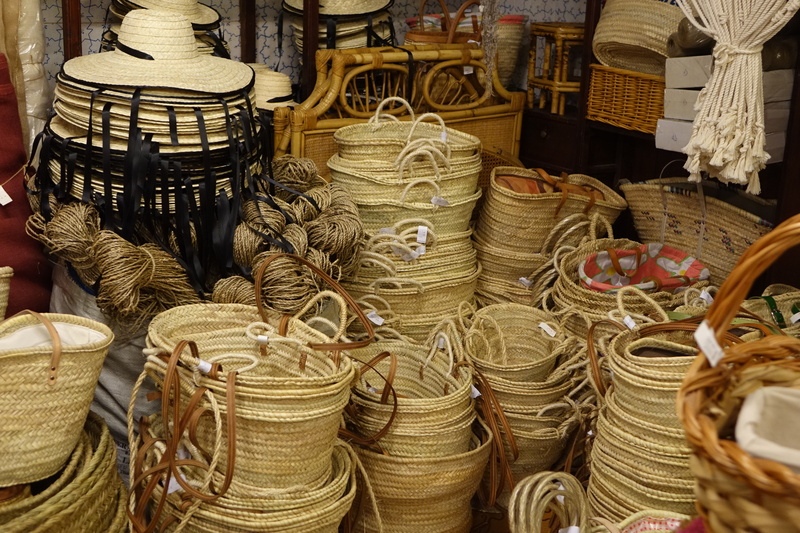 Unable to resist the charm, several of their baskets are now being put to very good use in my bathroom. 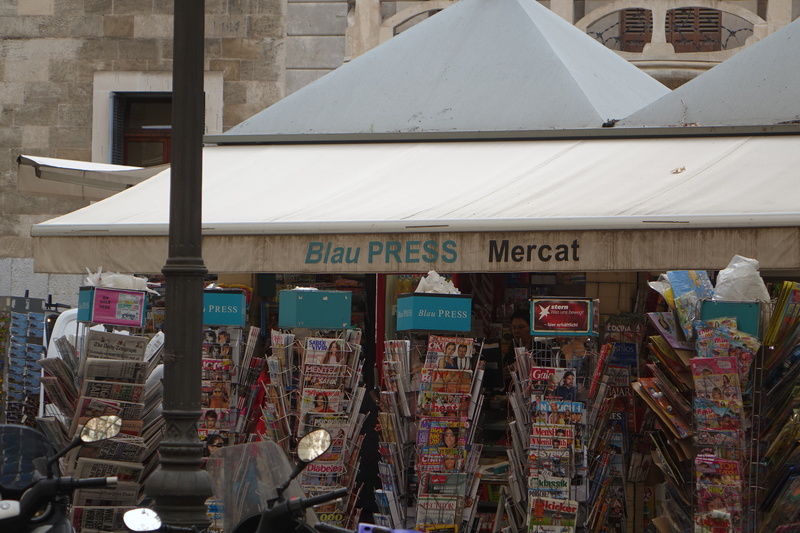 And that is the thing about Palma’s boutique shops. 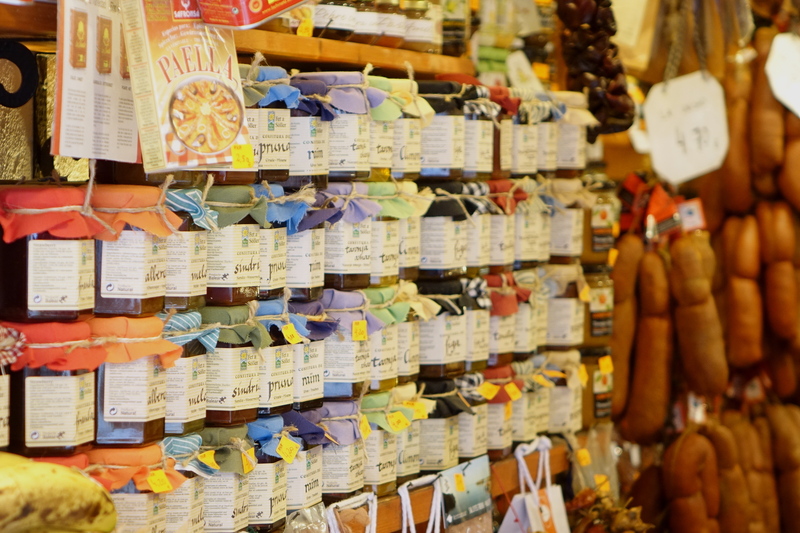 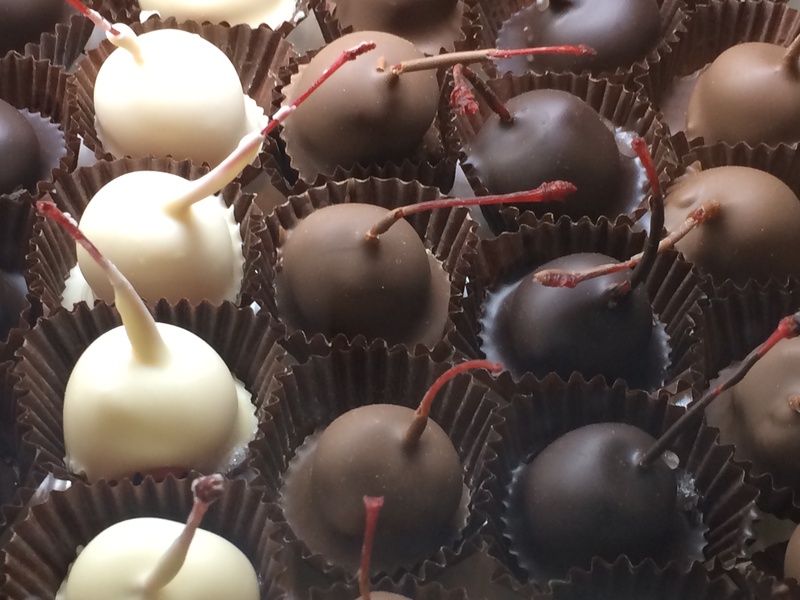 They make you want to buy, to support local trade. 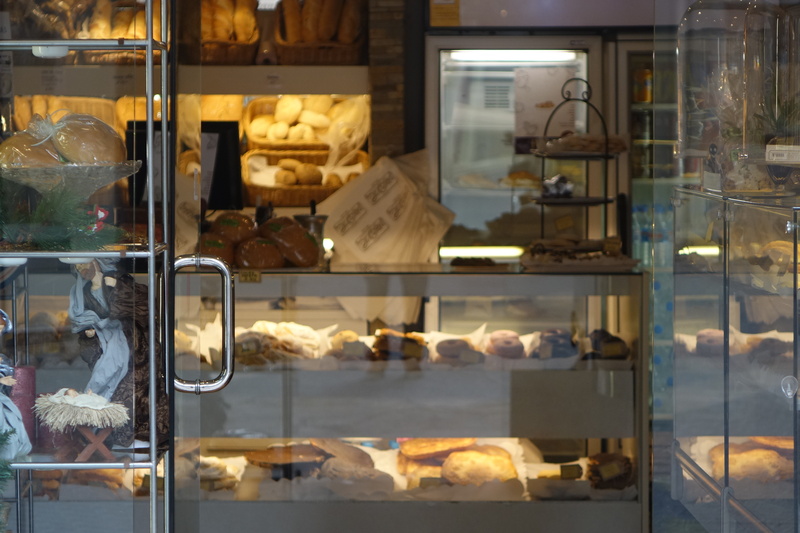 For there is nothing nicer than the friendly face and attentive service inherent in a business privately owned. 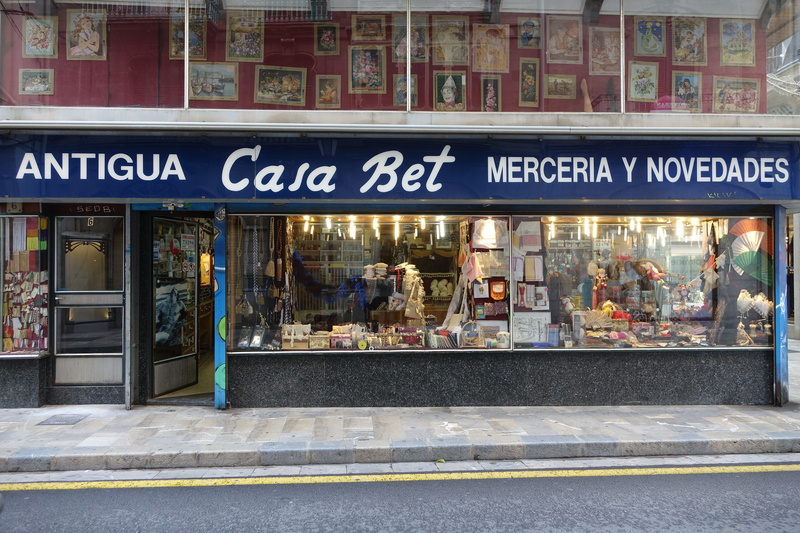 I just hope that, against the trend of towns and cities the world over, these private shops continue to thrive far into the future. 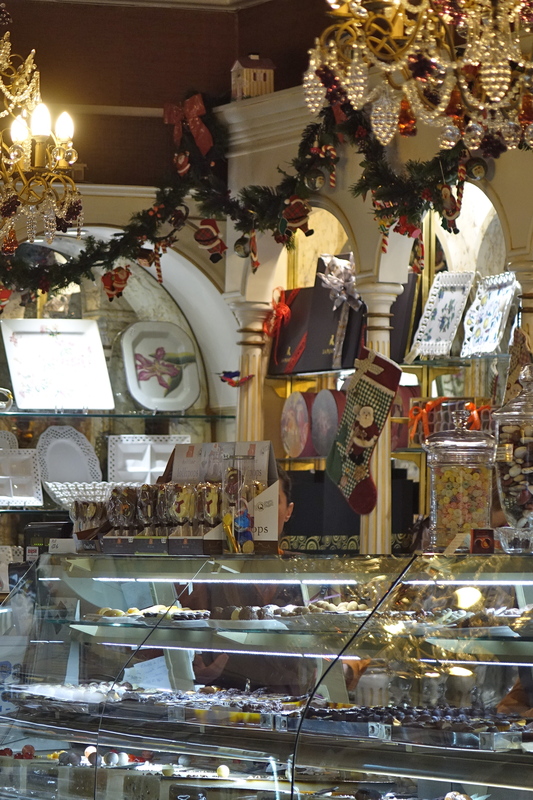 As usual I enjoy so much your ‘touch’ for capturing details.